The 21st century is witnessing a great change over in the daily life of folks with the advent of IoT devices that are capable of talking to each other without any human intervention. Yeah! Now you do not have to individually cascade an instruction to each of your home devices to accomplish a task. All have gone automated with the actuators and sensors which are infused into the home appliances. The fact is that your IoT devices would only comply within the family of same manufacturers. For example, if you have a Samsung smart refrigerator, and your wearable device is from Apple or any other vendors, then it couldn't sync as both are from different genres. No need to worry now! 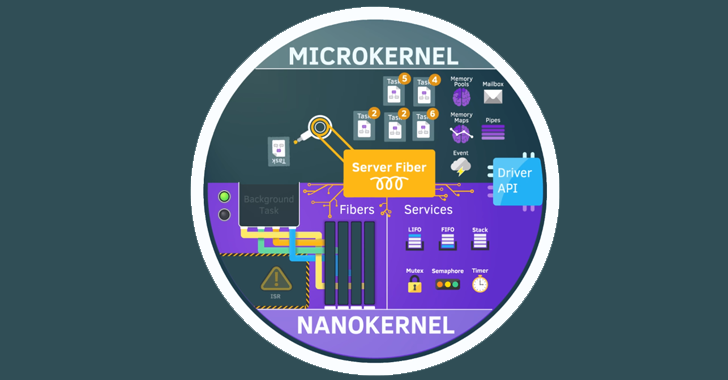 The Linux Foundation has broken all the barriers of compatibility issues by releasing a Real-Time Operating System (RTOS) for Internet of Things devices, dubbed "Zephyr". This OS enables connected devices to communicate with the same protocol. So, no more digital barricades between your thermostat and your wearable devices, as they could communicate with each other using the same protocols. The Zephyr project is supported by multiple platforms like NXP Semiconductors, Synopsys, and UbiquiOS Technology and is licensed under Apache 2.0. Why is Zephyr so important? Zephyr stands out from the crowd as it provides a scalable, customizable, secure and open source operating system to be used across multiple architectures. Doing so, Zephyr could help solve many of the current limitations that prevent, so far, Internet of Things from becoming really mainstream. Zephyr is expected to take the best of both sides: low-consumption as well as speed. Umbrella Platform: All smart devices could run under a single roof. Modularity: Supports to integrate 3rd party modules for additional functions as intended by the developer. Licensing: As startups does not have to bother about any licensing clash, as a unique license file would be mailed to everyone. Apart from the special features, Zephyr also supports technologies including Bluetooth, Bluetooth Low Energy, IEEE 802.15.4, 6Lowpan, CoAP, IPv4 and IPv6, NFC, Arduino 101, Arduino Due, Intel Galileo' Gen 2, and NXP FRDM-K64F Freedom board. Since connected devices are most hack prone items, these devices may malfunction when gets compromised. However, Linux is more concerned about the Security of Individuals, and generally open source software is considered more secure, as anyone can inspect flaws and debug the code. For this, the Linux Foundation is maintaining a dedicated security working group and a delegated security maintainer to be available through IRC Chats, so that anyone could help report the vulnerabilities in open discussions. 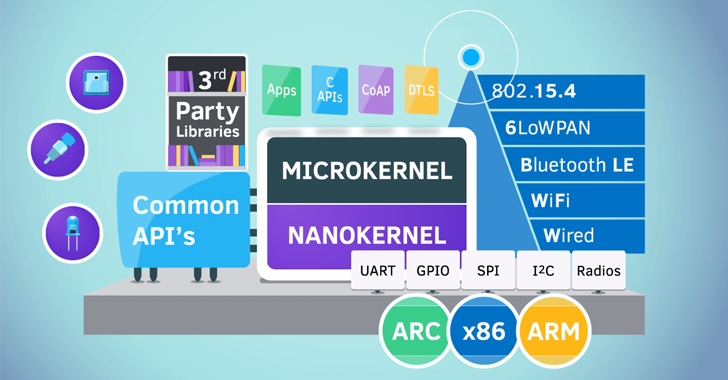 Although there are many other alternatives available for Internet of Things RTOS like Brillo from Google, Rocket from Intel, and Ubuntu Core from Canonicals, nothing would be as fascinating as Zephyr.